Welcome to The Red Oak Grove Church and Cemetery website. 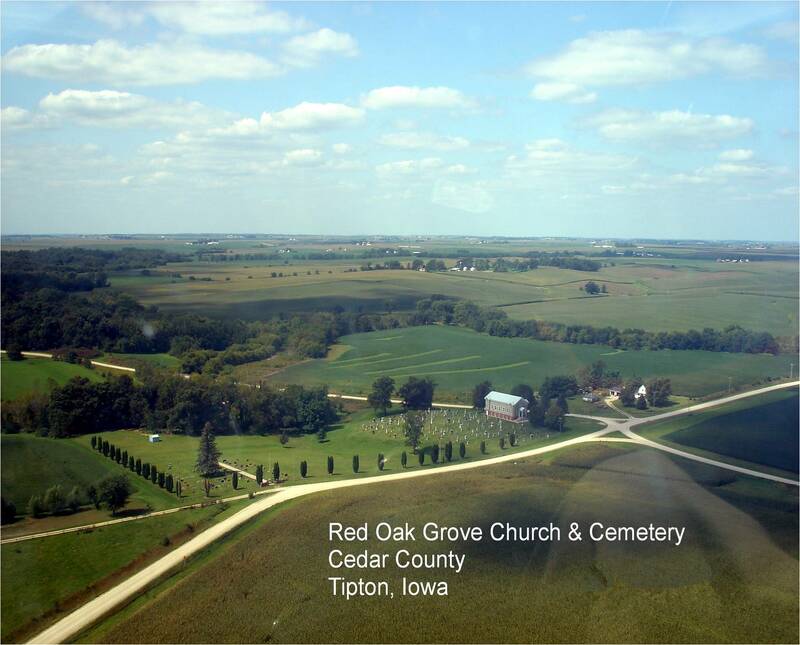 ROGChCem is situated on ten plus acres outside of Tipton, Iowa. We are very proud of our site which has a well manicured park like grounds and is bordered on one side with Rock Creek. We are in hopes our website links will better acquaint you with us, especially our photo gallery, purchase a gravesite, history and find-a-grave. Clean and reforest the timbered area west of the church to accommodate a labyrinth, walking paths along Rock Creek, and paths linking the cemetery and Red Oak Park.